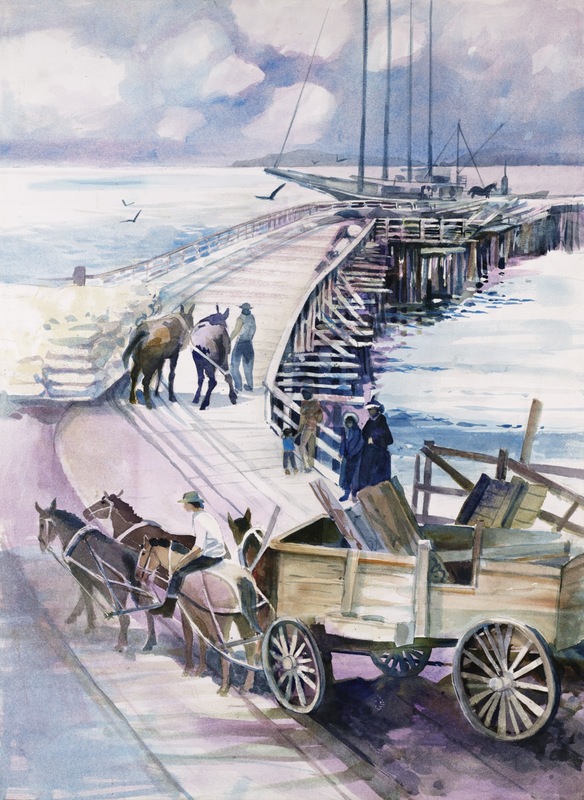 The history of Port Hueneme Pier is old, as California history goes. The schooners that plied the coast picking up hides (read Two Years Before the Mast) stopped here. The painting was commissioned by the City of Port Hueneme. It was researched from a series of old tintype photos in the city archives.